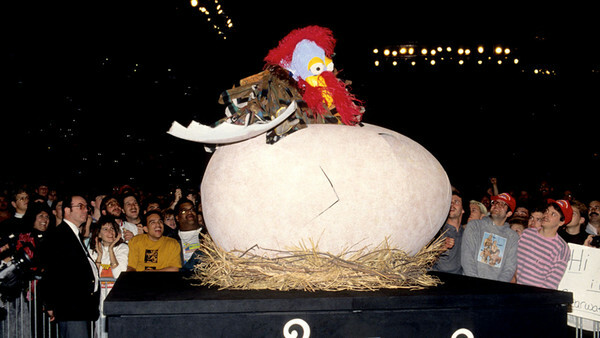 The 1990 Survivor Series will forever be known for two things: The Undertaker's debut and some poor schmuck (Hector Guerrero) cracking out of a giant egg and dancing to the amusement of exactly no-one with 'Mean' Gene Okerlund. 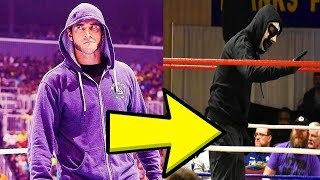 Did WWE ever try this kind of promotion ever again? No, no they didn't. They wouldn't bloody dare after The Gobbledy Gooker was booed out of the building. So, they repeated other sh*tty ideas instead. View this as a sometimes-light-hearted, sometimes-flat-out-annoyed look back at some of the most ludicrous moments in company history. Throughout, you'll be reminded of angles, concepts and characters so foul they shouldn't have happened once, let alone twice. Still, despite the fact creative writers should have screamed, "Oh please, God, no", they said, "Yes, let's do that again" instead and so WWE ran on repeat against all good taste. Here's a question before diving into the meat of the article: what do King Of The Ring, Santino Marella, Barry Windham, Luke Gallows with a bad wig, inter-brand warfare, laptops, gimmicked cages, popular sports, publicity stunts and 'Taker have in common?